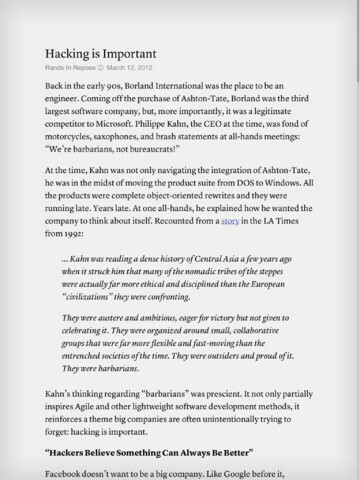 Instapaper lets you save web pages and articles you want to read later. Connect your Instapaper account to your Evernote account and send articles that you want to remember straight into your Evernote account, where you'll always have access to them from any device. Need something to read? You can browse articles that your friends posted on Facebook, Twitter, or Tumblr. 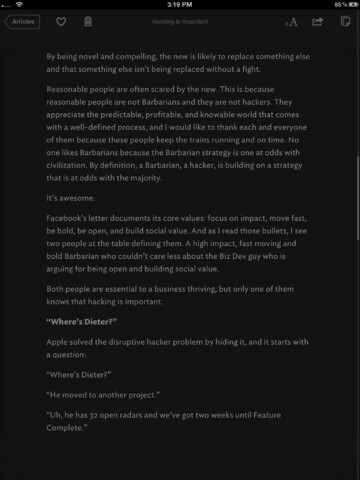 Or browse the Editor's Picks, curated by hand from the Instapaper community's most-saved stories. 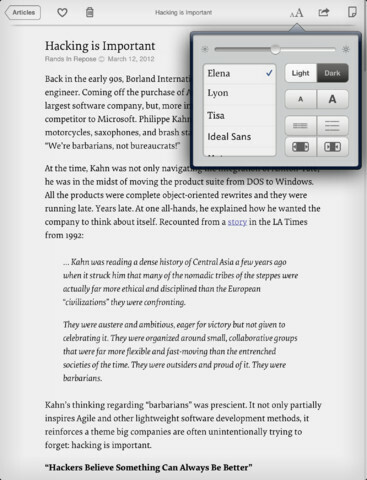 Sending to Instapaper is supported by over 150 other iPhone and iPad apps! 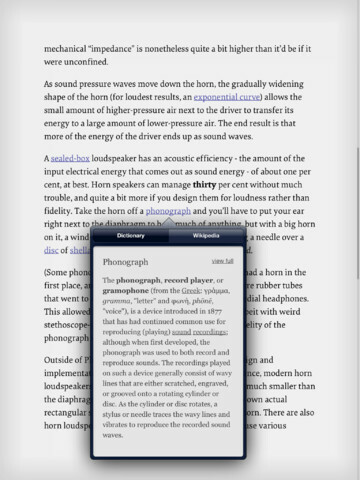 You can even send long emails to Instapaper to read later.